Buying a home in Calgary can be confusing. Check out some details about the buying process below and it may just make investing in that new lifestyle a little easier! Have you decided to buy a house in Calgary but not sure where to start? If you want an edge in a highly competitive market, I suggest you partner with a Calgary real estate expert. While there are many REALTOR® s who come and go during the good times, there are a few who can truly be called experts. Don't be afraid to ask qualifyinf questions to your agent before you decide to commit. Below are some details which may help you through the buying process. According to the Canada Mortgage and Housing Corporation (CMHC), for insured mortgage loans, The minimum down payment that can be made is 5% of the purchase price of a single-family home under $500,000. Anything over $500,000 will require 10% down up to the $1M price points. 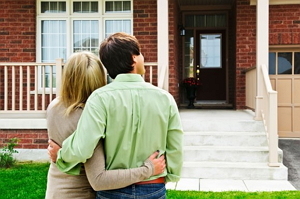 CMHC reports if your down payment is under 20%, typically you’ll need a high-ratio mortgage. This usually requires mortgage loan insurance to protect the lender against borrower default. CMHC may provide the insurance, or the insurance premium may be added to your mortgage. Be aware that your lender might also ask you to pay the total upon closing. If your down payment is 20% or more of the home’s purchase price or market value (whichever is less), CMHC states you could qualify for a conventional mortgage which may have no premium. As a buyer, working with a real estate agent doesn't cost you anything. Sellers pay the agent a commission when the home is purchased. An agent can help you find the home of your dreams and provide valuable resources in addition to information along the way. It is our job to answer all your questions and provide guidance. One of the most important decisions of your life will likely be finding the right place to call home. You can search through a wide array of properties by using the The Calgary MLS® system . It will keep you updated on the newest homes as they hit the market. When we are out looking at properties, I will provide guidance regarding the pros and cons of homes you are considering. We can narrow down specific areas, property types and details. Feel free to be as selective as you’d like about the number of bedrooms you desire in your new home, its proximity to downtown and whether you’d like a swimming pool. You deserve the best value for your dollar! I will use the latest technology to keep you up-to-date on properties which interest you and include photos, videos, virtual tours and floor plans. Once you narrow down what you want, we will arrange times to view homes of interest based on your schedule. I will have an “Offer to Purchase” form readily available when the time comes! It only takes about 30 to minutes to complete offer documents and begin the process. Once all conditions have been met, the documents will be sent to a lawyer of your choice for signing. I’m happy to provide you with a real estate lawyer list if you don’t know where to search. You will be contacted by the law office about a week prior to possession in order to sign a contract. You’ll be notified ahead of time with the exact down payment and legal fee amounts owed. Congratulations! The date that you have been waiting for is finally here– move-in day. On the chosen date, we will meet on the property for a personal inspection. Once all payments are received by the seller, keys will be released. Should any issues arise, you will be immediately contacted. Congratulations, give yourself a pat on the back! You’re a proud new homeowner. After you’re settled in, I’ll contact you to make sure you’re content. If you have any questions or concerns, I’ll address them promptly. Now that you have a better idea of how to buy a house in Calgary, you can start searching for that lovely new lifestyle with confidence!